Welcome to the Icon series from Cygnett and similar to the iPhone 4/4S series, this company continues their iconic iPhone cases and this time it's for the iPhone 5. 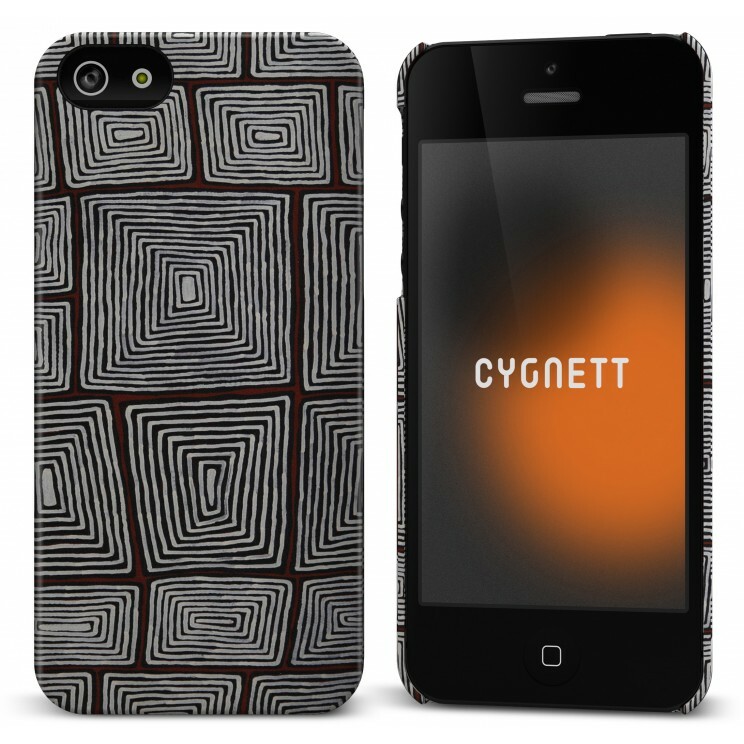 Using the authentic art of indigenous artist Ronnie Tjampitjinpa, Cygnett really give your iPhone a unique and Australian look thanks to his original painting, Rain Making. The first thing you notice about the case is the design itself that looks like it comes from the far west.... Western Australia to be precise. Then you get to the texture of the case with each of the lines of this indigenous painting... raised. This texture also adds additional grip to your iPhone 5. The case also has a slightly raised edgs which gives additional protection to your phone should it drop or when you place it down screen first. Before installing your iPhone 5 into the case, you first need to install the screen protector which is basically three easy steps. First, clean the iPhone 5 screen with your microfibre (included) cloth. Second, carefully place the first layer of the screen protector on your iPhone 5 screen. Third, remove the final layer of the screen protector and presto, your phone is protected. Last but not least, you simply slide your iPhone 5 into the case snugly. With a manufacturer's lifetime guarantee, this case will probably outlive your iPhone 5 but best of all, it gives your expensive Smartphone additional protection from bumps, scratches, knocks and more importantly even drops. Of course this case is all about the design and wow... this phone looks like something from the Dreamtime. Recommended to all lovers of art!